ESTATE SALE!!! DONT MISS THIS GREAT OPPORTUNITY TO LIVE ON LIDO BEACH! View gorgeous 8220;Gulf Front Views 8221; from the recently updated and elegantly designed entertainment room! L Elegance is the perfect name for this highly regarded condominium on St. Armands Circle. This bayside unit has sweeping views of protected vegetation, a dramatic sunrise in the morning and spectacular city lights at night. This is a two bedroom and two bath residence with a large master bath with tub, shower and walk-in closet. Large windows all overlook a spacious 39 foot outdoor balcony for your fresh air and reading enjoyment. L 8217;Elegance amenities include fitness center, 2 Har-tru tennis, 85 foot lap pool, spa, game room, storage unit, underbuilding parking and on-site office and guard gate entrance. The neighborhood includes the Ritz Carlton Beach Residences, Orchid Beach Club and a short distance to world famous St. Armand 8217;s Circle for your shopping and dining pleasure. Great Lido Key condo and at a great price! Two pets any size allowed. Restrictions: 2 Pets, No size limit! 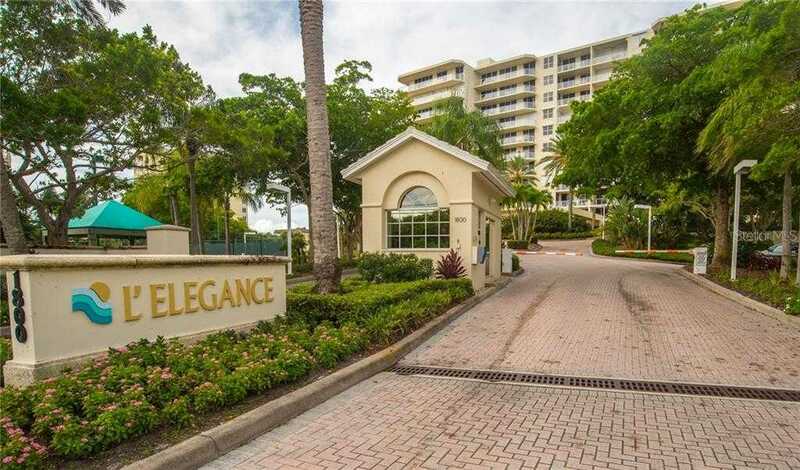 Please, send me more information on this property: MLS# A4420249 – $799,000 – 1800 Benjamin Franklin Dr #a503, Sarasota, FL 34236. I would like to schedule a showing appointment for this property: MLS# A4420249 – $799,000 – 1800 Benjamin Franklin Dr #a503, Sarasota, FL 34236.